Whoa! Get your mind out of the gutter. We’re talking about virgin cocktails over here! While an ice-cold margarita is our go to beverage of choice, there are times when we all may need to switch out our favorite cocktail for something a little more… Let’s say, “hydrating.” That’s where the mocktail comes in: A concoction of delicious refreshments blended perfectly to satisfy your adult beverage palate – without the “adult” part. If there’s one beverage that goes with summer as well as a margarita, it’s coconut water. Equal parts delicious, refreshing and good for you, coconut water is naturally fat- and cholesterol free and is packed with as much potassium as four bananas*. 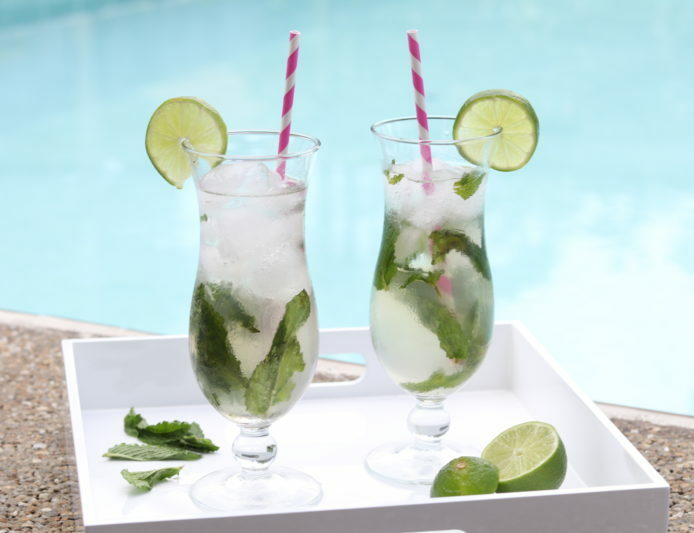 We’ve put together our own take on a coconut “faux-jito” mocktail that will have your taste buds saying, “ahhh” all summer long.